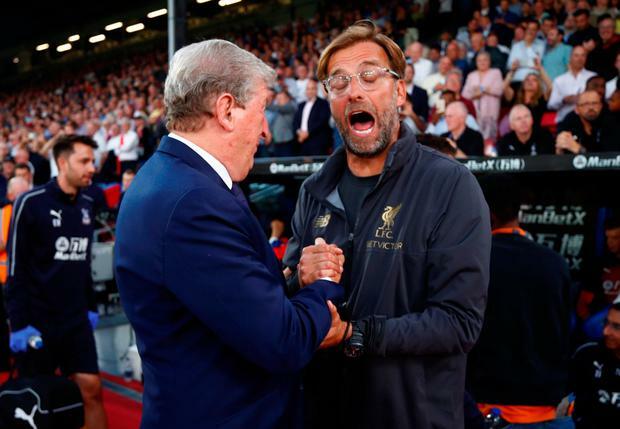 Liverpool manager Jurgen Klopp suggested his side need to improve after their 2-0 win at Crystal Palace, as he reserved his greatest praise for defender Virgil van Dijk. A James Milner penalty on the stroke of half time and late Sadio Mane clincher secured all three points for Liverpool, but it was Van Dijk who caught the eye with a commanding performance at the heart of the Liverpool defence. Sky Sports pundit Jamie Carragher suggested Van Dijk is now in the mix to be hailed as the best central defender in world football and Klopp was equally gushing in his praise for the Dutchman he signed from Southampton for £75m in January. "Quality costs a specific price, it’s with cars like that, with a lot of things like that and with players as well, that’s why we paid it ," he said referring to Van Dijk's fee. "Nobody thinks about it anymore and that’s good because he’s a player in this market, in the moment, he’s at least worth it. We don’t know what will happen in the future (with transfer fees), but it’s not important to us. He loves playing with these boys and that’s the most important thing for me. "They play a system they play all the time with high-quality players. They are a really good football team with a simple, but clear plan. They tried to cause us problems with the long balls. I don’t know a lot of centre-backs in the world who can deal with Christian Benteke like Virgil van Dijk did." Meanwhile, Klopp insisted he had no interest in discussing potential title challenges so early in the season after his side made it two wins from two games to start the new season. "It was not a brilliant performance tonight, both full-backs can play perhaps 70 per cent or 80 per cent better, but I like the two goals we scored and I'm very happy with the result," he added. "I thought we could have done better, but yes we expected Palace to be that strong and clear in their approach against us, playing a big number of long balls. "The crowd here is outstanding, and especially with the penalty after 44 minutes it was clear when we came out after half-time the welcome would be pretty loud and not too friendly. Crystal Palace wanted to strike back, so that was all clear. This is a wonderful place to play football. "It is still very early to talk about it (title challenge). I couldn't care less, it's not important. We are not in a race with other Premier League teams each weekend. (We) have to take it like it is and be a real challenger, and that's what we are. "You have to play it as it is and be a real challenger, play ugly, do all that type of stuff. Our target is to be a difficult opponent. It is too strong to say anything after two match days. You can discuss whatever you want - just do it without us. "Nobody should be happy when Liverpool are coming, or when they have to go to Anfield. This league is too strong after two matchdays to say anything."